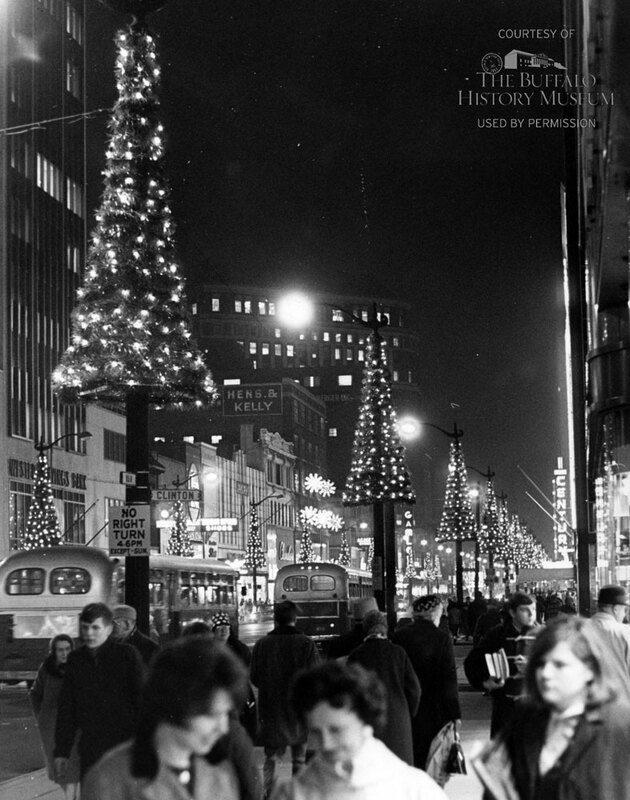 The Christmastime crowds on Main Street in 1965 were typical, almost unremarkable—downtowns and village centers, not suburban malls, were still the premier shopping destination for most Americans. Hengerer’s, Hens & Kelly, LL Berger, Neisner Bros., Gamler’s, Baker’s Shoes, and the Century Theatre, all pictured in this image, were jamming with business. The year 1965 marked the start of an annual tradition that does continue—A Charlie Brown Christmas debuted on December 9 on CBS.